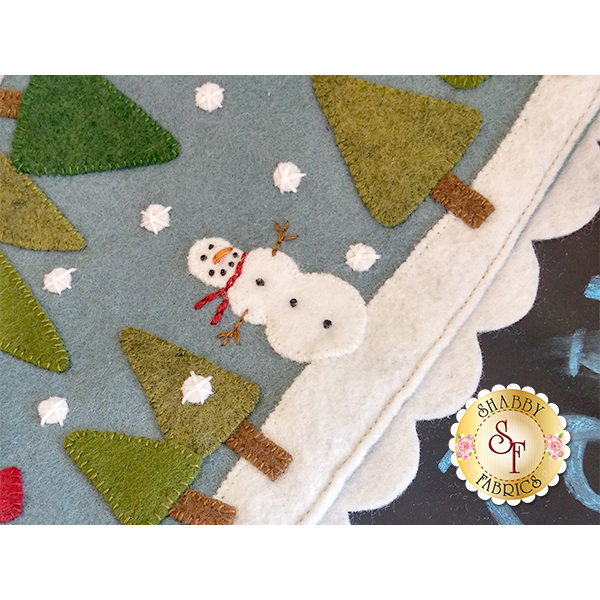 This festive winter wool felt applique runner by Barri Sue Gaudet of Bareroots has a border made of chalk cloth. 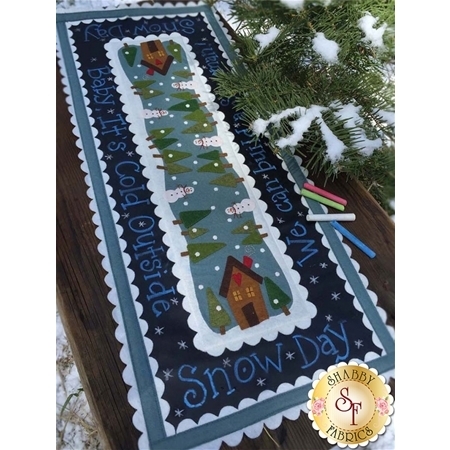 The chalk cloth surface is re-writable allowing new messages to be written! 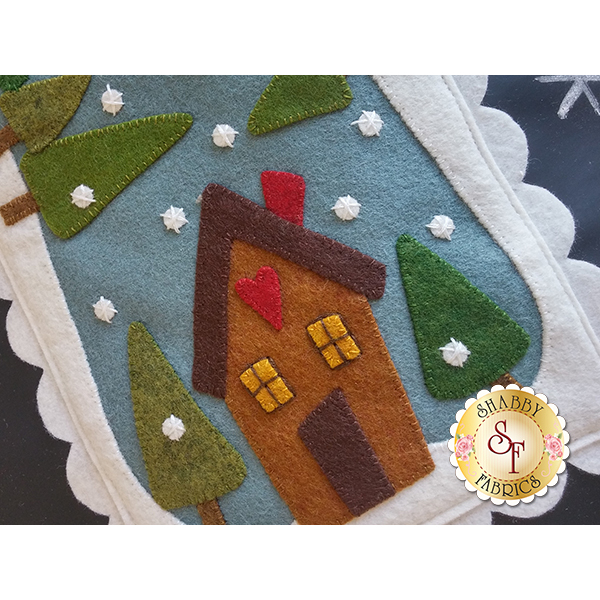 This project features easy applique, embroidery stitches, machine top stitching, and fun with chalk cloth. 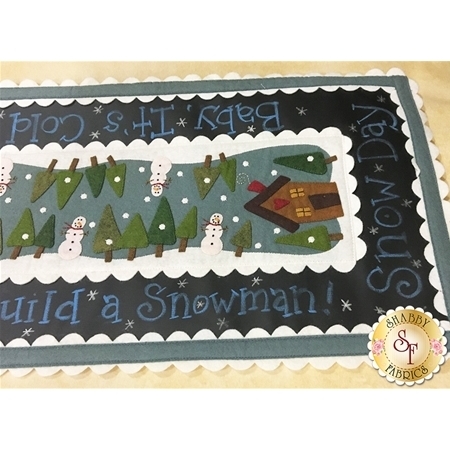 Finished size is 14" x 35". 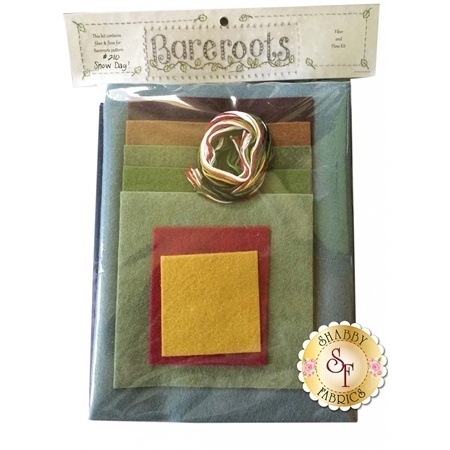 This Kit will include the pattern, wool felt, embroidery floss, and chalkcloth.